Want to save money and have your students take ownership of their classroom? 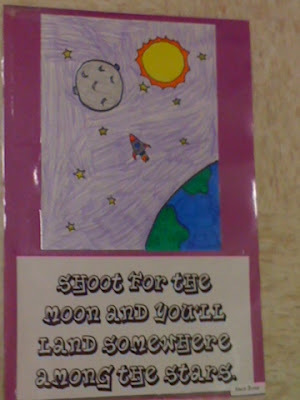 One of my absolute favorite activities at the beginning of the year is for my students to decorate our classroom. 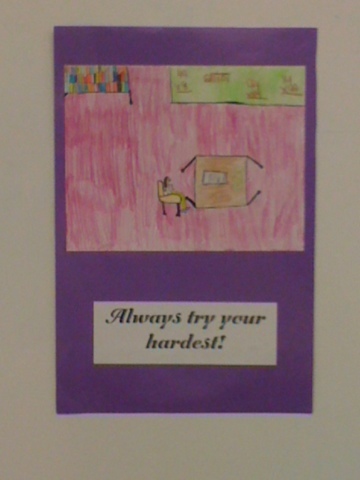 They make posters using inspirational quotes to be hung around our "home away from home". I used to buy inspirational posters to hang in my room from teacher stores and catalogs each year and then I thought what a great way to build community and personalize our room with student posters! 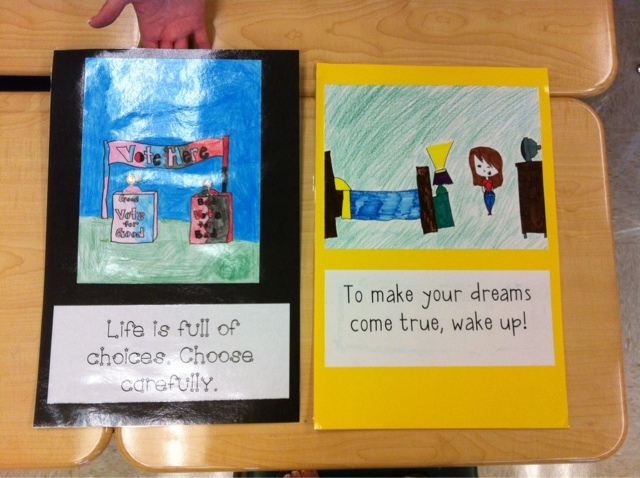 Each student selects a quote/saying that fits their beliefs/values and illustrates how they interpret the quote/saying. With this activity you get student buy in for the kind of climate you want for your classroom. It sets the tone for the year. These are great to have displayed at Open House! The samples below are from previous students. Each year I hang them all over our class. We get so many compliments and even get requests for posters to be hung around the school! Great self-esteem booster! All illustrations must be outlined with black marker (this really makes them pop!) and no white on the paper unless it's supposed to be white (ex. clouds). The quotes are about friendship, leadership, team building, and making good choices. I always loved seeing these hang around your room! 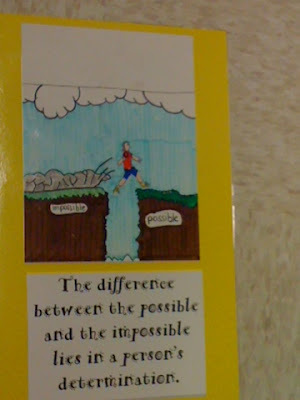 Sometimes the students' illustrations were funny. Do you plan on posting the list of quotes you use for this activity? I always thought you has a beautiful room! I just may do this... My room this year is very blah looking. Thank you Adrienne! It definitely brightens the room up and it's student made not store bought-perfect for our classrooms! I love this idea! My house is decorated with my kids art--so I think my classroom might end up the same! I am your newest follower. I would love to have you come by and visit my blog. What a fun idea!! I LOVE having inspirational quotes in my classroom, and have found some cute printables online, but what a cute idea to have your students make the posters!! And I like how they get to choose a fun font to go along with it! !